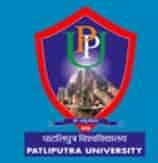 Patliputra University PG Vocational First Semester Exam Online Form 2019 has released the notification. The candidate who are student of PPUP PG Vocational can register for the Exam. There are Step by Step Process. Now Click on “Fill Examination From (PG Vocational)” which is in blue color boxed. Pay the examination fee by online mode.